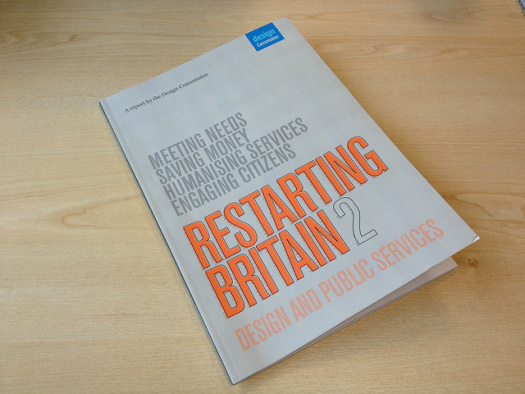 Yesterday saw the publication of Restarting Britain 2 a report by the Design Commission part of the Associate Parliamentary Design & Innovation Group. The report looks at design's role in "creating cost-effective public services in the 21st century". 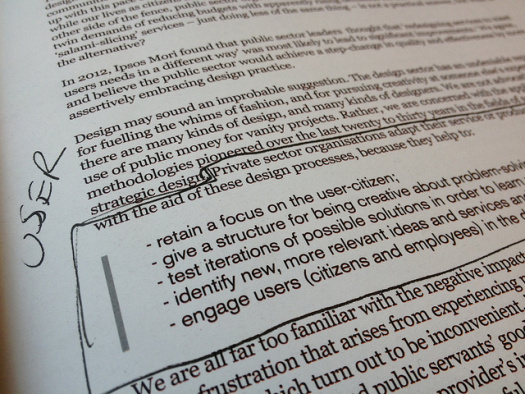 I was interviewed for the report, and as Head of Design at GDS I had a natural interest in the findings. Usually no-one looks forward to reading a parliamentary commission report, but I'm pleased to say it's a well written document; relatively short with some clear actions. I was delighted to see two themes that are close to our hearts at GDS; placing users at the centre of public service redesign and building design capability across government. The focus on users runs throughout the report, "A design approach to public services starts not with service providers but with citizens, customers and service users." Lots of the examples given talk about a user focus not a process focus. They describe how "good design starts from the point of view of how people really experience those services, and how those experiences might be made better, quicker and cheaper". We might have called that simpler, clearer, faster. "This is not rocket science. But it too often contrasts with how policy and public services are typically determined. “Disjointed incrementalism” characterises public service design: where services are altered and adapted by changing political drivers, professional fashions, shifting institutional norms and boundaries, and the biased lessons of past experience." It really isn’t rocket science, you start with user needs. "...curious, considering that Britain is a world-leader in all design disciplines: in place-building, in communications, in services, in products and, increasingly in digital. Equally, in many ways our public services have led the field throughout the twentieth century. Considering the scale of the financial challenge faced by public services in the UK, it would now be worth exploiting some of this readymade expertise in creative innovation." Again there are common themes for anyone who's been following GDS over the last year and a half. 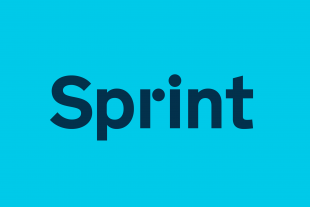 This blog post I wrote when I joined GDS, my recent talk at Design Indaba, Stephen Kelly's speech at Sprint 13 and Mike's ‘The strategy is delivery’ blog post are just a few examples of that thinking. 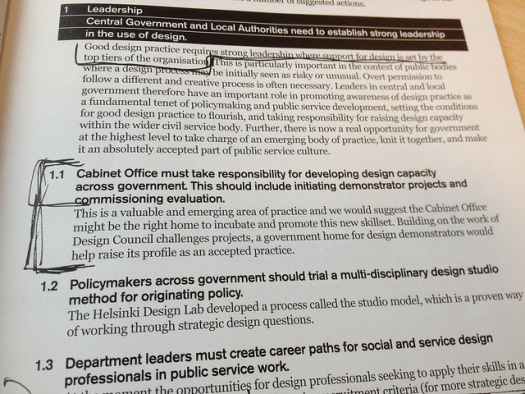 The report recommends "Cabinet Ofﬁce must take responsibility for developing design capacity across government. This should include initiating demonstrator projects and commissioning evaluation." While we're not doing that with design in isolation, we are doing that with the digital strategy, in particular the 25 exemplars, the performance platform, the service design manual we launched yesterday and some work in progress around digital capability. There's lots of other stuff in here which we set out to do in the digital strategy and others have set out in the Civil Service Reform plan, establishing strong leadership, building capability, a better commissioning model and changing the way we work across government. I was interviewed by Jocelyn Bailey, who co-authored the report. She visited me at Aviation House and we spoke briefly about our work at GDS. Yet another benefit to being open is that there's no real secret to what we do here – most of what we discussed is on the blog, twitter, YouTube, GitHub or just visible on GOV.UK. 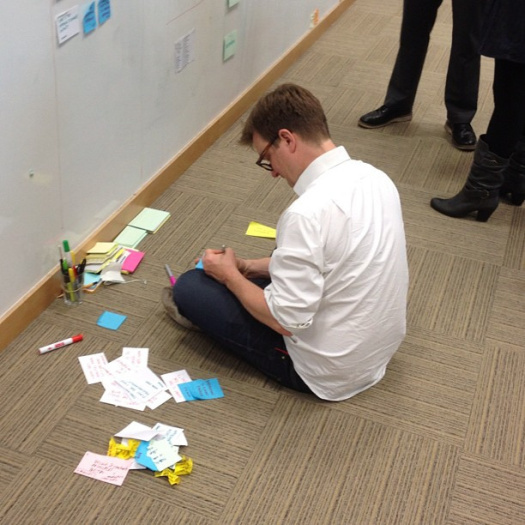 "The GDS ofﬁce is far more akin to a digital design studio than a government department. Little touches around the office remind those who work there of the user: typical proﬁles adorn the walls, a piece of paper with a scribbled ‘users’ with an arrow points out of the window at the street outside." At the end there's is a section called "Some lessons and conclusions for Central Government" it begins with this paragraph. "The Government Digital Service has been an inspirational demonstration of what can be achieved with a government department through a design-led transformation process. The challenge for Central Government now (notwithstanding other existing pockets of good practice) is to learn the lessons from the GDS and see if these can be applied to all areas of Whitehall." It’s good to see design being looked at in detail like this. I think it could have been improved with more discussion about the importance of delivery, “often, iteratively and repetitively” but it’s a good report, and well worth a read if you are interested in design, public services or both. You can get copies of the report here. 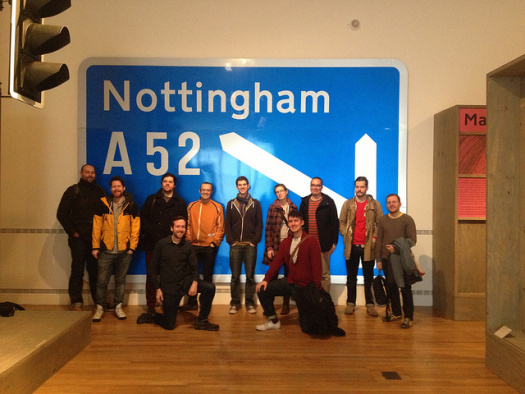 You can read more about the report in Design Week, on the Design Council blog and in the Guardian.